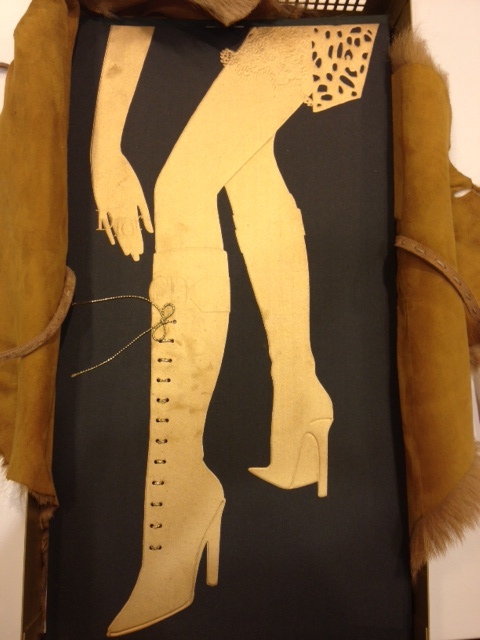 One of the pieces from Visionaire issue “Touch” where actual string is stitched into the cardboard sheet. The Hirshhorn Library has had the benefit of receiving creative, non-traditional items from generous contributors that reflect a playfulness with format and materials found in contemporary art. One such unexpected gift was that of the art and fashion periodical Visionaire , which has been published three times a year in limited quantities since 1991. Each issue has a particular theme that is illustrated in some form or another through the collaboration of Visionaire with contemporary artists and fashion designers from around the world.